The content of Borek’s latest album—a critical reflection of the nuances of intimate friendships—is echoed in his musical styling. 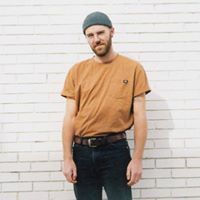 Crisp guitar and drums are balanced by warming synth and tender vocals that stand at the forefront of his multilayered tracks—ever close to the listener. Borek’s confident and explorative baroque sensibility is weighted against his lyrical emotionality and sensitivity.